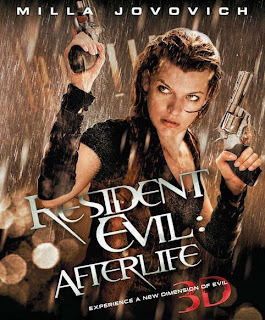 Project Alice is still mad at the Umbrella Corporation for experimenting on her and presumably for making sure that freaking Rihanna song does NOT die. After taking care of some unfinished business in Tokyo, she travels to Alaska to meet up with Claire and from there they travel to L.A. for no reason only to find out that Alice's business wasn't exactly unfinished. Also, there are supposed to be zombies, but there are none. 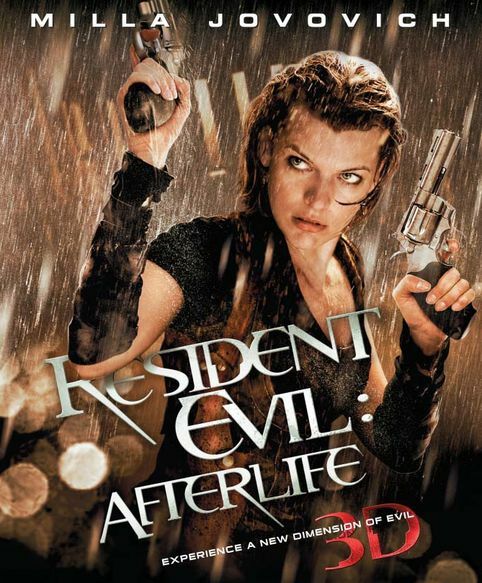 I checked my phone during "Resident Evil: Afterlife" only to notice that the film was more than half over and not a single zombie had been shot. There were zombies present, but they were held safely at bay by large walls until some of them become inspired by dig dug and tunnel their way into the facility our heroes are seeking refuge in. And right about then is when I started to fall asleep. This is one awful excuse for a film. Everything about it is absolutely atrocious. The performances are either lifeless or so tongue in cheek that Agent Smith was giggling and the script was as vacant as any motel that had the unfortunate name of "Bates" after "Psycho" came out. We saw this in 3D because it was supposed to be shot with the same technology James Cameron used on Avatar. The only problem with this, is that James must have left the instruction booklet at home, because the 3D looked terrible. All of the action sequences in this movie were just paint-by numbers templates that I think I could find right here on blogspot and the score had to have been done in FrootyLoops. Characters show up and die and then come back with no rhyme or reason and the main villain is horrendously uninteresting. *is not actually a belief held by this writer.